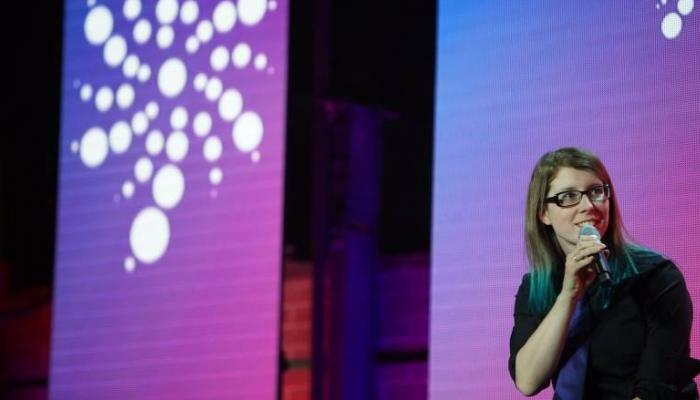 Suzanne Gilbert is co-founder of Kindred, the Toronto startup that is developing intelligent robots that can be taught by humans to perform automated tasks. The Canadian startup ecosystem is the third largest in the world, according to the ranking developed by the Swiss startup StartupBlink, which is developing a global startup ecosystem map. The report classifies 954 cities and 125 countries according to “their ecosystems strength”, a value that has been determined according to the number of new companies and support organizations, the startups success in each region (how many unicorns are there in each region is a determining factor) and the business environment. At this point, the infrastructure, the bureaucracy and the capability to launch a business are valued. According to this criterion, the United States has the best startups ecosystem in the world, followed by the United Kingdom. The report also revealed that there is a large gap in the Americas, with the United States and Canada in the first and third place, while Mexico and Chile are 30 and 33. By cities, Toronto is ranked 11th, Vancouver, in the 19th and in the 34th position. The trend indicates that in the upcoming years the Canadian ecosystem will continue to grow and compete on equal terms with the United States. The immigration policies of the United States’ president, Donald Trump, have caused a flight of talent to the north, where entrepreneurs find in cities such as Toronto, Montreal or Vancover a much more favorable environment for business, high life quality and an appreciated legal stability. There are more and more cases of entrepreneurs who have decided to leave Silicon Valley, in order to look for new horizons in Canada. Startup Genome has recently published its annual report detailing the state of innovation around the world. This document deepens the monitoring of ecosystems and emerging industries, and includes key learnings from a million companies, almost 100 ecosystems and outstanding leaders in technological research. This year, the report didn’t include an ecosystem classification, but has provided valuable information on key innovation ecosystems in Canada: Edmonton, Ottawa, Toronto-Waterloo, Montreal, Quebec and Vancouver. Edmonton was valued for its strengths in Artificial Intelligence; Montreal, the home of Element AI, is known for its artificial intelligence and big data companies. Advanced manufacturing and robotics are also two key sectors for the city, which has 90,000 ICT (Information Technology) workers. Quebec City also has a thriving gaming industry with the presence of companies such as Ubisoft, while its strength in the life sciences industries lies in its educational infrastructure at Laval University and INRS (Institute of National Research). Ottawa, home of the National Research Council, thrives on its science-based economy. Thanks to companies such as Shopify and FINTRAC, the capital is a hive of big data activity. The Toronto-Waterloo corridor was studied as a whole and the report points out that this region is among the 20 strongest startup ecosystems in the world. Its strongest subsectors are FinTech, AI, manufacturing and robotics, life sciences and health. 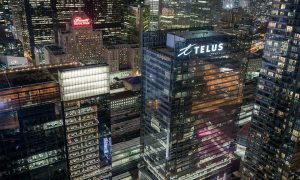 Toronto is the second largest financial services center in North America, with 12,000 firms and 360,000 employees, while the Waterloo region defends the manufacturing legacy of Southern Ontario with programs such as the University of Waterloo’s Mecatronics. On the other hand, Vancouver, which was ranked as Canada’s main start-up center in its Startup report last year, locates its strengths in clean technology, life sciences and games. In general, a very high percentage of startups that are emerging in the Canadian ecosystem are characterized by developing ideas that help improve the lives of citizens or transform management processes in many economic sectors. From this prism, at PanamericanWorld we have chosen five startups that work to facilitate Canadians’ day to day life. Kindred, a startup co-founded in 2014 by George Babu, Suzanne Gildert and Geordie Rose, founder and former CTO at D-Wave Systems, is designing systems that allow robots to understand and participate in the real world, with the goal of enabling a future where intelligent machines work physically along with people. Those responsible for Kindred started from the assumption that intelligence requires a body, regardless of whether it’s human or artificial. The company with dual headquarters in Toronto and San Francisco, is developing intelligent robots that can be taught by humans to perform automated tasks, for instance, products’ handling and classification in a warehouse. The scenario that Kindred’s founders face is this: when one of Kindred’s robots finds a scenario it cannot handle, a human pilot can take control. The human can see, feel and hear the same things as the robot, and the robot can learn from the way in which the human pilot handles the problematic task. At the end of last year, the company raised 28 million dollars in a venture financing agreement led by Chinese Internet giant Tencent Holdings Ltd., which is rapidly emerging as one of the most active foreign investors in the startup sector in North America. The Canadian startup, based in Vancouver, was acquired earlier this year by the giant Apple. It will maintain its headquarters in BC because its new owners want to take advantage of the great talent that Vancouver produces in the field of engineering. Some analysts believe that after this acquisition, the company will serve as the anchor of Apple’s presence in Canadian territory. For now, the Buddybuild team has been integrated into the Apple Xcode group. Buddybuild is a perfect complement for the mobile device developer. It’s described as a “mobile iteration platform “focused on continuous integration and debugging tools, which provides the apps development team with a simple workflow to iterate and send their apps to the world through GitHub, BitBucket or GitLab. Buddybuild was founded in 2015 by former employees of Amazon, Dennis Pilarinos and Christopher Stott. In its three years of development, the startup has managed to raise around 8.8 million dollars, including a series A of 7.6 million led by Kleiner Perkins Caufield in May 2016. Sometimes, great solutions not only have to be sought in the fields of technology, fintech or artificial intelligence. A good example is the startup Nectar, located in Montreal. They are addressing a global problem that has repercussions beyond what we imagine: our bees’ population. Nectar helps beekeepers manage more hives more efficiently, ensuring they lose less production. The app provides artificial intelligence and sensors to help beekeepers keep the bees healthy and productive. The platform includes an app to help beekeepers control the health of bees, and predicts when potential problems will arise. They are already working with clients that represent 15% of the bee market in Quebec and are immersed in an international expansion that is allowing their IoT systems to be in key hives in California, South Africa and Australia. They recently won the People’s Choice Award from Foodbytes !, which held its first Canadian food technology launch competition in Montreal. The company was the only Canadian to receive one of the awards. It’s a Vancouver-based startup that is betting on providing a high-tech solution to help cannabis growers manage plant waste, at a time when their production is increasing to adapt to the recreational market’s demand. Micron Waste Technologies Inc. is developing aerobic digesters designed to extract food waste and clean water that can be reused or disposed of in municipal sewer systems, thereby eliminating compostable bio-solids. Health Canada requires that plant wastes become inert and unusable, with methods that include mixing them with cat litter and putting them in a landfill, incinerating or grinding them and mixing them with other organic compounds for composting. Recently, Micron has partnered with medical producer Aurora Cannabis to try to adapt that technology to the demands of Health Canada. Deep Genomics, the Toronto-based startup, is a world leader in machine learning, genome biology and precision medicine. The company uses artificial intelligence to build a new universe of life-saving genetic therapies. It works on the creation of a new generation of computational technologies that can tell us what will happen inside a cell when DNA is altered by genetic variation, whether natural or therapeutic. They can even link unknown variants with known variants, something that wasn’t possible before. Because the Deep Genomics system models fundamental aspects of molecular biology, it can be used for any variant and any disease. At the end of last year, it raised 13 million dollars through a capital investment from Khosla Ventures in Menlo Park, California, which has been used to hire a range of scientific experts, doubling what the company initially had. Deep previously raised 3,7 million dollars in an initial round in 2015. The startup also received support from the U of T’s Innovations & Partnerships Office, as well as from UTEST and Creative Destruction Lab at Rotman School of Management, all part of the extensive entrepreneurship ecosystem of the U of T.